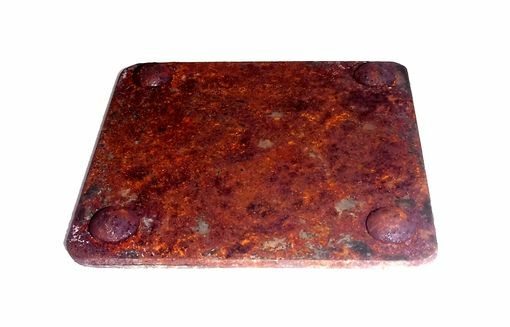 These handmade solid steel Industrial Coasters feature a beautiful, hand-applied rust patina with a durable clear coat finish and cork pads to protect surfaces. 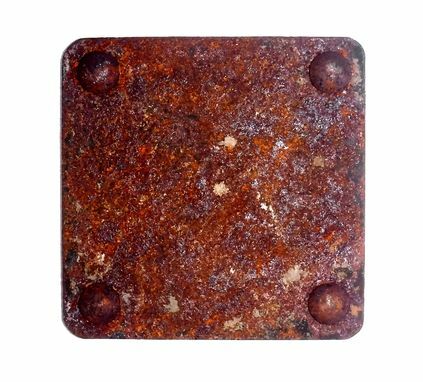 Each coaster measures 4 inches square (traditional coaster size) and has solid steel rivets at the corners for that true "industrial" look. Great for man caves, indoor or outdoor bars, etc. - Set of four individually crafted metal coasters. 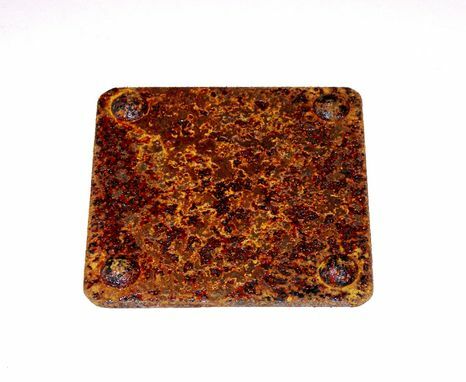 - Custom hand-applied rust patinas. - Clear coat sealer for long-lasting protection from moisture, wear, etc. - Cork pads help protect wood and other surfaces from scratches. - Ideal for the home or office, and perfect for a variety of indoor or outdoor settings. 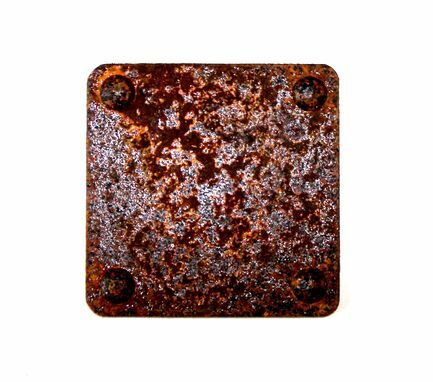 Please note: Our hand-applied patina process involves unique chemical reactions with steel; so variations in colors and textures should be expected (and celebrated). Multiple applications are required, and it typically takes a few weeks to achieve the desired effect -- but it's well worth the wait!